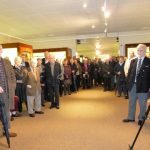 On a very wet and windy morning in Armagh, guests gathered inside Armagh County Museum to hear many tributes to the man of which ‘Armagh could be forever proud’. 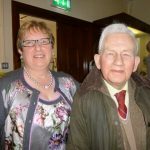 These were the sentiments of Chris Spurr, Chairman of the Ulster History Circle, as he welcomed the audience to the ceremony. The blue plaque to Thomas George Farquhar Paterson or ‘TGF’ as he was known was commemorating Armagh Museum’s first full time curator, and it was also the first Ulster History Circle blue plaque to be put up in Armagh City. Roger Weatherup, former curator of the Museum and who worked as deputy curator to ‘TGF’ spoke fondly of the man who was making history that morning. 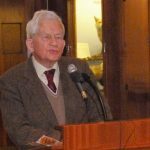 A man, who had a great passion for history and who, without any formal academic training, developed his interest to the extent of becoming an acknowledged authority on the country he loved. His writings were legendary, and he also wrote under the pseudonym of ‘Cornascreeb’ and contributed to local papers. 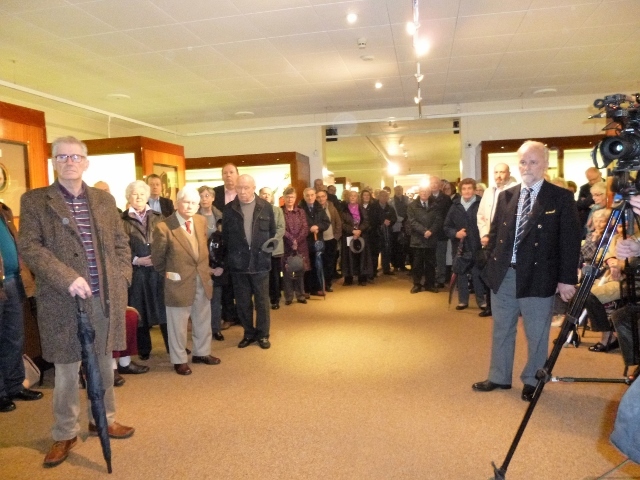 Guests listened intently as Roger told of ‘TGF’ appointment in 1931, as honorary curator of the Armagh Natural History and Philosophical Society Museum, and then later when it was renamed Armagh County Museum, his appointment as the first permanent curator. During the 32 years until his retirement, Thomas George Farquhar Paterson became a member of the Royal Irish Academy, and in 1954 he was awarded an OBE. When he retired in 1963, he was appointed Honorary Advisor to the Museum because of his long and devoted service, and continued to live in the caretaker’s residence. Students from the Royal School Armagh also took part in the proceedings and read several poems and stories by ‘TGF’. 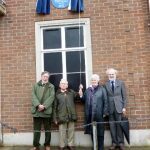 Then braving the wind and rain, guests adjourned to Charlemont Gardens, beside the Museum, where they watched history being made when Roger Weatherup and Patricia Paterson, niece of ‘TGF’ unveiled the blue plaque. 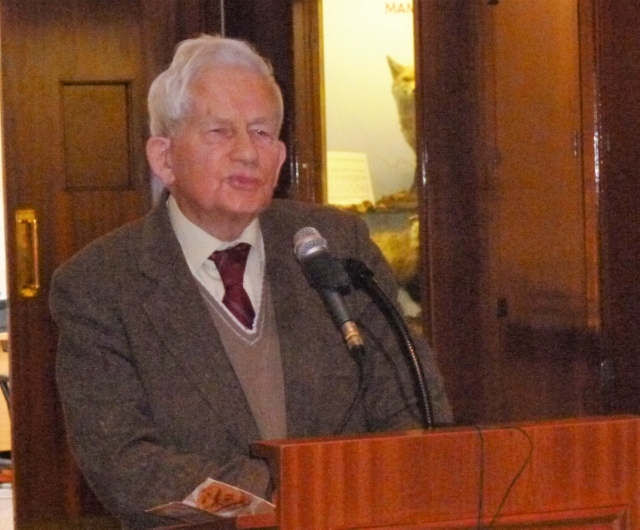 Roger Weatherup, former curator of Armagh County Museum addresses the audience inside the Museum. A selection of the guests and friends who attended. L.R. 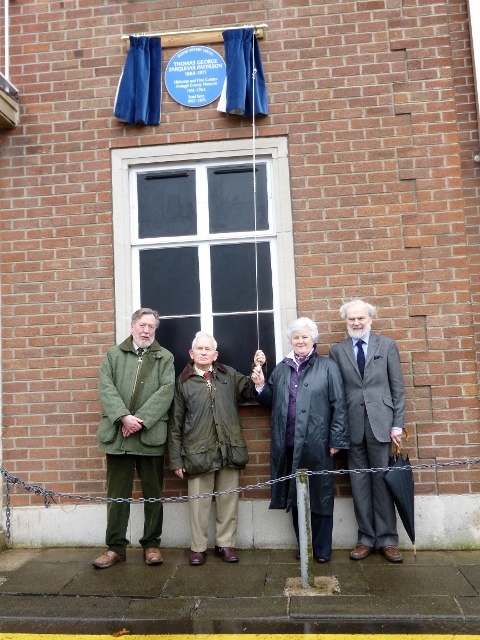 Chris Spurr, Chairman Ulster History Circle, Roger Weatherup and Mrs. Patricia Paterson who unveiled the blue plaque, and Peter Cavan Ulster History Circle. 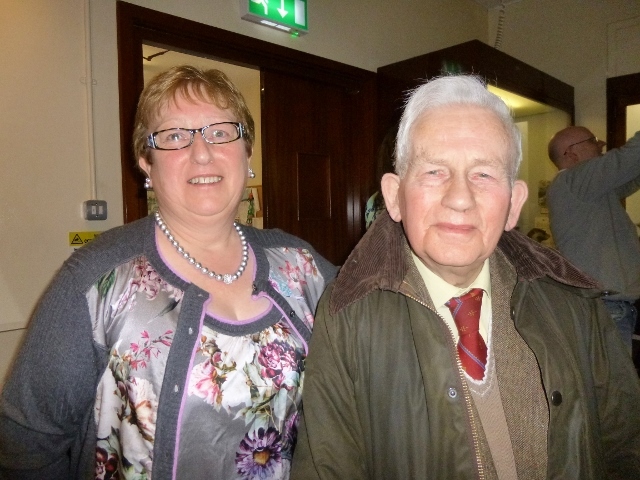 Edith Graham, Friends of Armagh Museum with Roger Weatherup.